Elemis Balancing Lime Blossom Cleanser is pleasant to the senses, uniquely textured, and a great choice to balance and repair your skin. This cleanser is especially recommended for younger skin that is prone to teenage breakouts. It features a Lime Blossom extract, which is an ingredient known for balancing excess oils, removing make-up, and generally removing any imperfections on your skin. Try this cleanser and you will find that it is non-sticky, light and effective. Use every morning and evening for a lasting effect. Your skin won't be oily anymore, which not only contributes to your health, but also to your self-esteem. Corn Oil softens and hydrates. Egg Yolk Extract is rich in Vitamin A to firm, tone, and balance. Linden Flower soothes and removes inflammation. Smell lovely, easy to use.. Worth it. 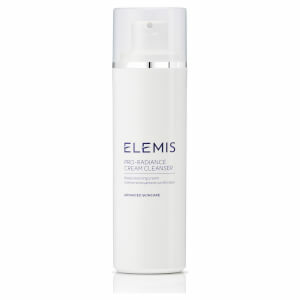 I have used this Elemis Balancing Lime Blossom Cleanser for a few months now. It is a really effective cleanser that leaves your skin feeling clean and soft. It has a creamy texture that is perfect for massaging into your skin.